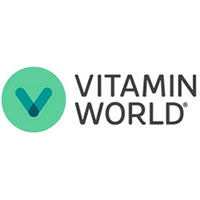 ● Vitamin World usually has limited-time offers such as buy 1 get 1 for 50% off and 30-50% discounts on select items. ● Be the first to receive special discounts when you subscribe to its mailing list. ● Join Vitamin World’s Savings Passport Program so you can receive extra special deals. You can earn bonus points when you purchase $10 or more and you can also have up to 7.5% back when you use your bonus rebates. Members of this program can get 20-50% discount throughout Vitamin World’s catalog, online or in store. Vitamin World sells a full range of vitamins and natural personal care options. Visitors that register their emails get a special discount via email (that is undisclosed). There are navigation tabs at the top of the landing page that are listed by categories like “men” “women” “health and beauty” and others to navigate to product links. There are discounted items that can be reached by clicking on the sale tab which open the sale features. Free shipping is offered on all sales. There are also “flash sales” that are regular features of this site. There are also online exclusives. For most up to date offers check out Vitamin World on Facebook and Twitter or contact Vitamin World Support for any questions.